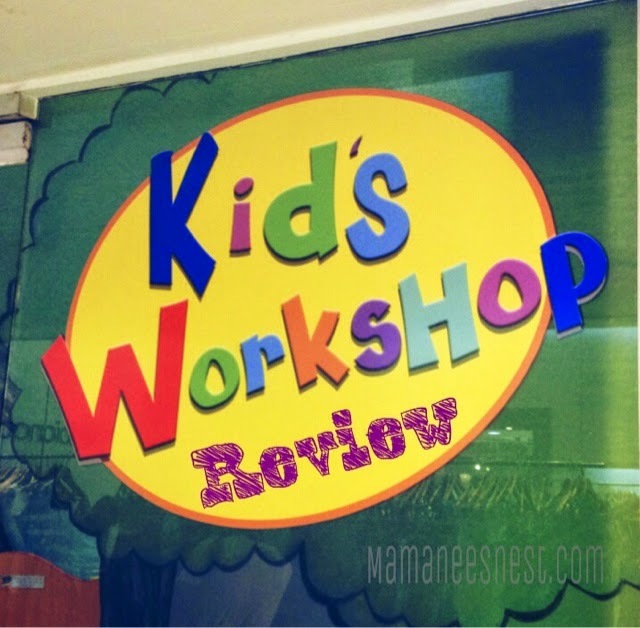 I always look forward to playtime with the kids and I was very happy that through Mommy Bloggers Philippines, my princess and the little boss received an invite to play at Kid's Workshop, located on the 2nd Floor of Shoppesville Arcade in Greenhills Shopping Center. I was expecting it to be like any other play area that you generally see in other shopping areas. Upon entry in the airconditioned area which is enclosed, we were greeted by the very cheerful receptionist Len and were asked to fill out their registration form. As a parent, security is a main concern. The kids are assigned a numbered wristband which is unremovable unless cut, just like the wristbands of amusement parks. The wristband also had their name written for east identification. You are then given the stub of wristband with a tag that you need to present upon fetching your child. This makes sure that only YOU can fetch your child. My little twin stars just could not wait to go in and play! It is a requirement that all kids including the parents or guardians were socks. If you don't have a pair, you may purchase from the reception. 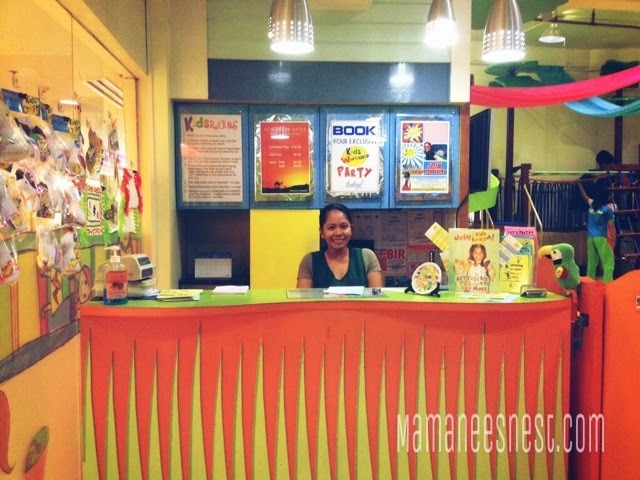 I felt I stepped into wonderland with the large matted area, filled with toys, books and an indoor playground. Sturdy enough even for the guardians to slide on, ehem, as I had tested myself. 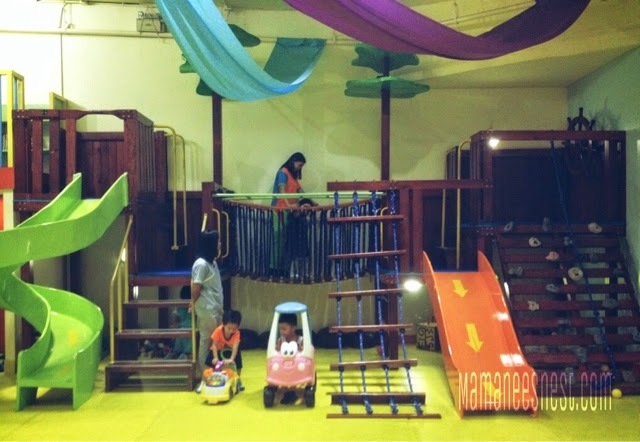 Kids are entitled to unlimited playtime at an affordable rate of 410PHP (10 hours based on mall hours of 10AM to 8PM). Why would you need that much time? Well, if your kid is 4 years old and above, you may leave them to do your shopping. No worries with leaving them since there are assigned attendants, otherwise known as play monitors,who have been trained to take care of children in the most delicate way. Meeting Len, Gladys and Jackie, made me feel comfortable immediately. All of the spoke with a smile and knew exactly what they were doing, they looked over the children to guide but not limit them. The best part was all the activities they had planned for the day. There were several games that were mapped out within the day which would keep the kids busy. First was find the ball by it's color and also a dance portion! I also loved that for a minimal fee (85PHP to 120PHP) the kids get to do arts and craft projects. 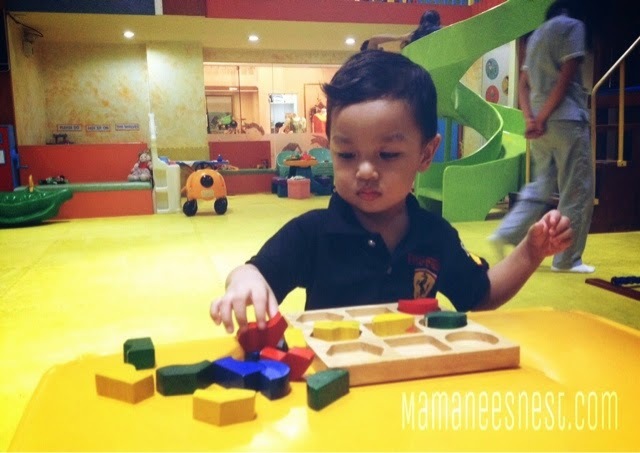 Eating and drinking may be done in the assigned area which keeps the play area clean. It was also very convenient that there was a bathroom inside the play area so that you didn't have to go out just to have your kid go peepee. 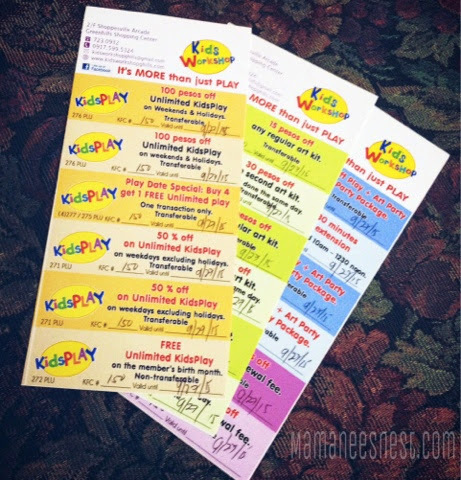 We were very lucky since we were provided with a free Kid's Workshop membership kit, which had loads of discount vouchers, they get a personalized ID and free unlimited play on the registrant's birthday! 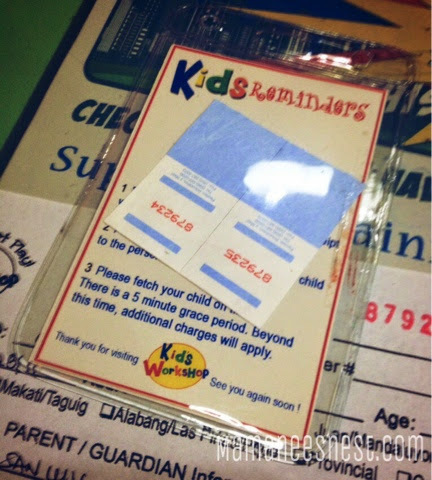 It's discounts worth more than 800PHP, including 75% off if you attend the KidsFUNClub Get2Gether! All that for only 550PHP membership fee. Truly worth the buck for your active kiddo. Will I be returning with the princess? Definitely, it's a thumbs up for the Kids Workshop. 🍼 Large airconditioned play area which kept the kids cool. 🍼 Designated eating and drinking area. 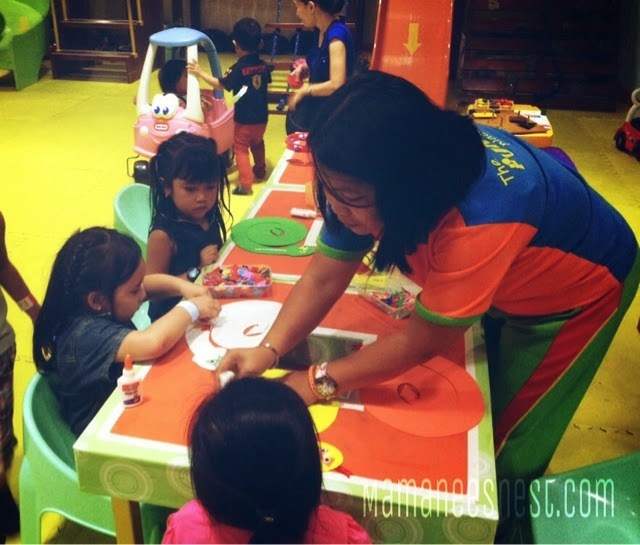 🍼 Actvivities and kid craft activities. 🍼 Lots and lots of books. 🍼 Security measures of the kids. 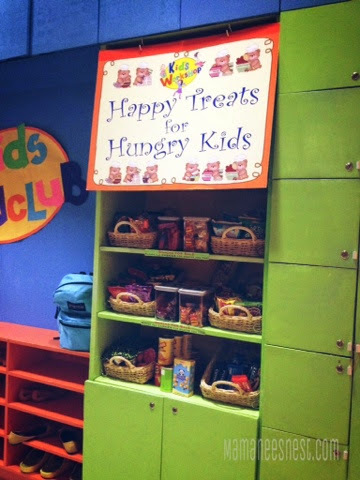 🍼 A menu instead of a full display of the snacks they sell. It just promotes junk food eating for kids for me and I try to avoid feeding the little twin stars snacks before having a full meal. 🍼 No specific napping area for the kids if they fall asleep. All-in-all, it was a very enjoyable experience for both the kids, the hubhub and I. 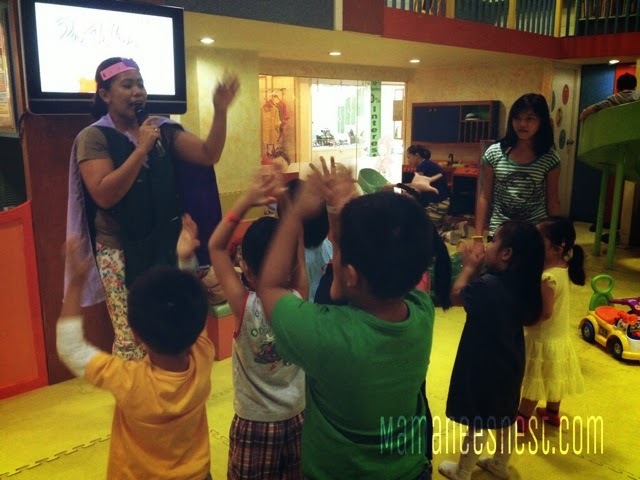 We really felt that our princess was in a play school for her to learn and make new friends. Need to shop? 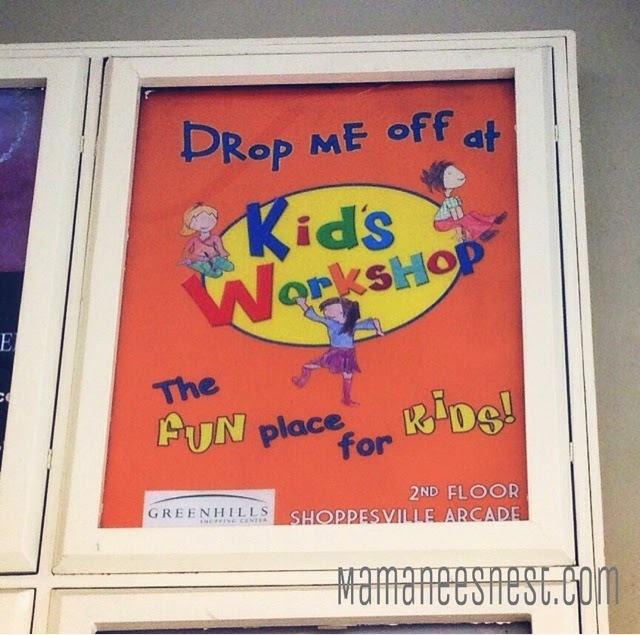 Take your kiddos to a place where they will enjoy, learn and make new friends in a safe and clean environment: Kid's Workshop Greenhills. *Disclosure: I was compensated for the purpose of a feature and a review in the form of trying out the services. The opinions and views expressed here are based on my actual and truthful experience of the product/website/service I believe in truthful blogging for the benefit of my readers and only endorse products/events/services that I believe in. Superrrr fun. I think I had too much on the slides and helping my princess crawling around and looking for colored plastic balls during the games hahaha.